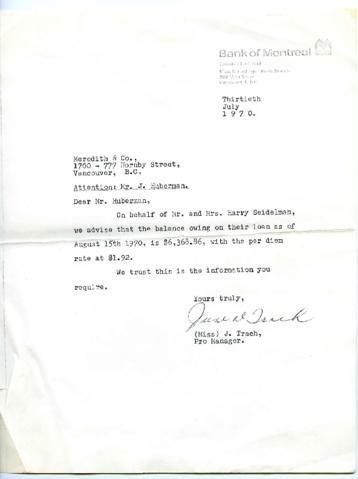 Letter from a manager of the Bank of Montreal to Meredith & Co., barristers and solicitors, regarding Harry and Esther Seidelman's house mortgage. Letter is dated July 30, 1970. This letter is one of two enclosures of another letter (see Part 1 of Item 1 in this file).